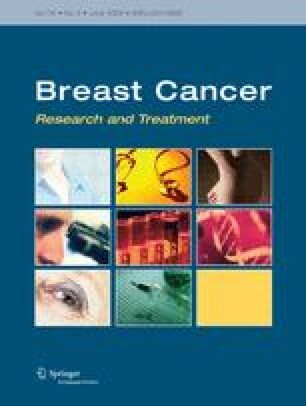 Purpose Prospective pilot study to assess patient outcome after stereotactic body radiation therapy (SBRT) for limited metastases from breast cancer. Methods Forty patients with ≤5 metastatic lesions received curative-intent SBRT, while 11 patients with >5 lesions, undergoing SBRT to ≤5 metastatic lesions, were treated with palliative-intent. Results Among those treated with curative-intent, 4-year actuarial outcomes were: overall survival of 59%, progression-free survival of 38% and lesion local control of 89%. On univariate analyses, 1 metastatic lesion (versus 2–5), smaller tumor volume, bone-only disease, and stable or regressing lesions prior to SBRT were associated with more favorable outcome. Patients treated with palliative-intent SBRT were spared morbidity and mortality from progression of treated lesions, though all developed further metastatic progression shortly (median 4 months) after enrollment. Conclusions SBRT may yield prolonged survival and perhaps cure in select patients with limited metastases. Palliative-intent SBRT may be warranted for symptomatic or potentially symptomatic metastases. The authors would like to thank the family of Barbara Fogarty for their support. We also thank Laura Brumbaugh for editorial assistance. Paul Okunieff, M.D., received grant support from BrainLAB AG (Heimstetten, Germany) between April 1, 2000, and March 31, 2005.